In this article you will be known the amazing remedies for your dry and itchy scalp! Let’s accept that it is mostly every one’s problem that we have a dry and itchy scalp. 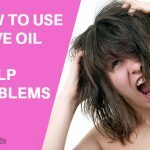 Oiling our hair is not a fashion anymore! Moreover oiling is rather more irritating than being healthy. 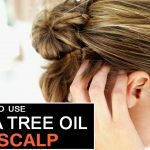 Well there are many more alternatives available to get rid of the itchy scalp that you are having. It looks really unhealthy to rub your scalp in public. Though you do not have lice in your head but still you keep feeling the itchiness is due to the reason that you have a dry and unhealthy scalp. The root cause of having dandruff is due to the dry scalp. As dry scalp will shed dry skin cells to your hair and this is dandruff only! Here we discussed some effective home remedies for dry itchy scalp prevention treatment. 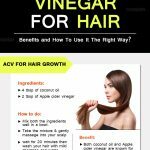 Apple cider vinegar contains mallic acid, which destroys the fungi and viruses on the scalp. Apple cider vinegar also helps to maintains the pH balance of your scalp and you can get a clear scalp free from any sort of itchiness. Firstly wash your hair and scalp with water and allow it to dry. Repetitions: Do this Process once or twice a week. You are not baking cake here! Yes baking soda is also one of the best remedy to help you with itchiness! This is a really effective and readily available ingredient that can relieve up your itchy scalp is baking soda. It helps relieve and soothe down the itching by exfoliating the layer of your scalp and then controlling you dandruff caused by overactive fungi in your scalp. Wait 10 to 15 minutes then rinse with water. The first and the most awesome alternative is “Tea tree oil”, with its powerful natural properties such as it is anti fungal and it is anti-inflammation. It also has amazing antibacterial properties that can be used heal and treat itchy scalp. You can use the tea tree oil or various products of tea tree in various ways, for instance follow below. Repetitions: Follow this remedy daily for 2 to 3 weeks. Lemon juice has citric acid and is sour in taste therefore it is the best way to cure itchiness. Lemon juice will help and treat an itchy and dry scalp also because of its amazing and strong antiseptic properties. It is particularly taken and is useful for dealing and healing with dandruff. Repetitions: Follow this procedure at least twice a week. Tip: If you don’t have dandruff problem dilute lemon juice with the same amount of water. Coconut oil creates a strong and effective barrier that helps to keep your skin moisturized and hence it is one of the most effective ways to treat an itchy scalp. Repetitions: Follow this method 2 to 3 times in a week. Aloe is a well known herbal and natural ingredient that everyone must use and get some intake of it to live a healthy life. You must have a small plant of aloe at your place it will help you a lot. Aloe can be applied directly on any affected area. Aloe vera gel contains rich moisturizing properties this will help and relieve excessive dryness and itching. Wait for 10 to 15 minutes then wash off with mild shampoo. Repetitions: Repeat this process regularly till the itching is gone. wait for few minutes then rinse your hair thoroughly. Repetitions: Follow this simple remedy three times a week. These remedies are really effective if you follow any one of these at regular intervals! You will surely see the results soon. 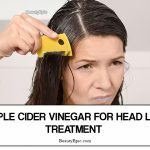 How To Use Apple Cider Vinegar For Itchy Scalp & Dandruff Relief?